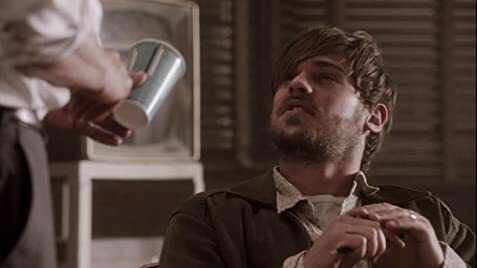 How many episodes of Aquarius have you seen? Sam Hodiak: [sarcastic] Aaaaw you are hurting my feelings, you know me so well. Finally a different cop show! People give it a chance. I'm hearing a lot of negative comments in reference to this show and its realism especially as to the actor portraying Manson, I don't think that they got the info that the year this show is portraying is 1967, not 1969 when Mansons family did the killings and Manson was clearly then a madman.. I think the show is probably building up to it if the show last that long I personally think that the madness the actor is building up in his Manson character is exceptional, though this is my opinion and we all have one. I find this series quite fascinating, it was a bit slow in the beginning but most new shows are. I found this show is different than all of the current cop shows on TV and I find it very entertaining. 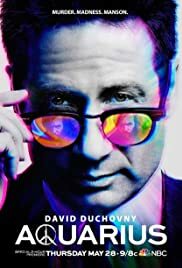 I was always a David Duchovny fan and I just discovered this show on demand over a weekend and spent the whole day watching all 12 episodes. The characters, to me, are mesmerizing, especially the guy who plays Manson (Genthon Anthony plays freaky amazingly well). I was never really into the whole Charlie Manson thing but my friend forced me to watch and I was hooked, in the beginning I thought that the plot would be the whole story line on Charlie Manson but there are other issues inter-weaved with the Charles Manson story not too mention the whole 60's era including the fashion, music, the attitude of the era between the hippy community and the so-called, overdrinking, straight laced adults which I really am enjoying. I'm hoping the show last a while.